Follow these tips to create a landscape that discourages the proliferation of ticks. The Tick-Borne Disease Alliance reports that as many as three-quarters of all Lyme Disease cases are caused by tick bites picked up near the house. Here are some landscaping tips to help keep those little bloodsuckers at bay. • Clear your property of leaves and other debris, which can house not only ticks, but also the furry creatures that host them. • Keep bird feeders and compost piles away from the house, and cover garbage cans tightly to keep away tick-carrying birds and rodents. • Ticks thrive in humid, dense vegetation, so keep your grass short and open to sunlight. Avoid dense ground covers like ivy, and eliminate brushy areas. • Create buffer zones by laying three-foot-wide gravel perimeters around walls, gardens, and woodlots. • Place swing sets and play areas in full sun, on wood-chip beds, at least 10 feet from wooded environments. • Cut down on garden moisture by choosing xeriscape plants like aloe vera and stonecrop sedum, which thrive in dry, tick-repellent environments. 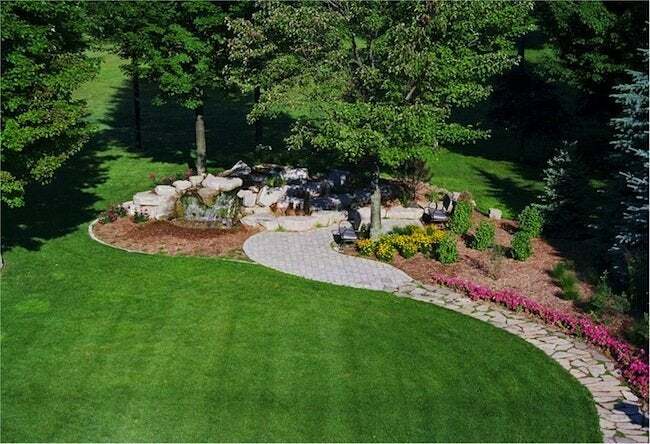 • The less lawn, the fewer ticks, so create and regularly use lawn-free areas, like patios and decks.